Whether it is a delivery or an installation, we are here and happy to help!  Southwest Wholesale Nursery offers customers a convenient and professional delivery service. Upon request, we will ship landscaping materials, plants, trees, flowers and more directly to your jobsite anywhere in Texas. If needed we can assist you in using common carriers to deliver your purchase to another state. Our drivers provide the professional service you deserve. Six days a week, Monday through Saturday. The advantage of working with Southwest is our ability to deliver any combination of landscape products directly to your jobsite. From 4″ seasonal color to large specimen trees, moss boulders to edging, and everything in between, we can supply it and deliver it. We take great pride in our ability to efficiently and conveniently load your order with the greatest of care, ensuring that your order arrives safely and to your satisfaction. At Southwest Nursery, you may hand select your order or simply allow our trusted sales representatives, who will gladly oversee the selection and loading of your order. To better serve our customers Southwest offers tree installation services. Let us help if you are on a deadline, don’t have the equipment or manpower, or need us to guarantee the trees for you. Our installation crews are professional, friendly, and offer years of experience. We install all plant material, from 15 gallon to large specimens and ensure minimal damage to the surrounding area. If Southwest installs your trees we guarantee each tree for one year with one replacement per plant. We ensure satisfaction with professional attention given to each and every installation. Southwest Wholesale Nursery is a business to business operation. We are here to serve the green industry professional. If you are responsible for any property management or landscape installation, we are here to help you complete successful installations for your client. That’s why we offer landscape installation services. Southwest’s landscape division has been installing beautiful landscapes for many years and bring over 100+ years of combined experience in our staff. We install projects of all sizes. As a green industry professional, you have the benefit of employing our services as an extension of your company. We are able to custom fit the services you need from tree installation to full turn-key job installation. We hold the relationship between our customers and their clients in high regard.